Last February I wrote that SpaceX had three “must do” things in 2018 to prove that all the self-promotion and bragging is justified. It’s time to look back and see how SpaceX did in achieving these critical milestones. SpaceX had 21 launches this year. All of them successful, meaning they didn’t blow up in the first few minutes. This was three more launches than the previous year. One of the launches was the test flight for the Falcon Heavy rocket, but the rest were largely for SpaceX customers. There was only one payload that did not make it into orbit. The Zuma military satellite was shrouded in secrecy, which means no one had to take the blame or acknowledge the payload failure. A report indicates that SpaceX was not to blame, but there are discrepancies in the live reporting by the SpaceX Launch Announcer that indicate a failure of the SpaceX fairings to deploy on time. That gives SpaceX a 95% success rate, which would seem to be great, but with billions of dollars invested in payloads, one failure is too many. SpaceX gets a B.
SpaceX had a major publicity win with the first launch of Falcon Heavy rocket last February. The stunt of launching a Tesla Roadster was a stroke of public relations brilliance that overshadowed the fact that no additional Falcon Heavy launches followed the single success. The next Falcon Heavy launch is scheduled for March of 2019. If all goes well, SpaceX will be one step closer to proving reliability, but SpaceX has not made its case to the people who can afford to pay SpaceX to launch their satellites. Another Falcon Heavy rocket is scheduled to be launched in April, but those are the only two Falcon Heavy launches scheduled in 2019. The fact that the National Reconnaissance Office (NRO) announced in late October that it awarded a Heavy Lift contract to SpaceX’s competitor, United Launch Alliance (ULA) indicates that SpaceX is not considered reliable and/or as economical in the heavy launch market. If SpaceX has any issues with either of the 2019 Falcon Heavy launches, it may have to end its Falcon Heavy program for a lack of customers. SpaceX gets a D+. There are two primary missions of the Block 5 booster. First, it has to be proven to be safe for human flight. Second, the Block 5 booster is supposed to be the savior of space travel because of reusability and reliability. It is supposed to have a quick turnaround from launch to re-launch and it is touted as a booster that can easily be used ten times or more. In 2018, SpaceX put up six Block 5 boosters in ten launches. One Block 5 booster has been used three times and two boosters have been used twice. Of the three Block 5 boosters that have been reused, the average turnaround time from launch to re-launch is 99 days. SpaceX had to delay the December 2018 crewed mission back to June 2019. That means they failed to prove human rating in 2018. Still, there is not enough information to determine if the Block 5 will achieve its primary goals. SpaceX gets a C+. I was born sixty years ago today. We often talk about how life has changed since the Internet age, as if life before the Internet was static. It’s good to be reminded that change is relentless, and it is not confined to any particular time period. The average U.S. lifespan increased by almost ten years. This is just a small sampling of the changes that have happened in my lifetime. What will happen in the next sixty years? How Did Earth Get A Moon? How Earth was blessed with a Moon was anybody’s guess 50 years ago. In our solar system it’s a relatively big moon. At slightly over 1,000 miles (1,700 km) in diameter it’s about half the size of planet Mars and there are only four moons (Ganymede, Titan, Callisto, and Io) that are bigger than Earth’s Moon. So how did Earth end up with a natural satellite that rivals the biggest moons of the massive planets Jupiter and Saturn? And why just one? Prior to the Apollo missions to the Moon, there were three main theories of the origin of the Moon. First, was the adopted daughter theory. It proposed that our Moon wandered into Earth’s gravitational pull and was captured. Second, was the mother/daughter theory that suggested the Moon was spun off from the Earth when it was still a molten blob of spinning material. The final theory was the sister theory where both bodies that formed side by side. When the Apollo missions came back to Earth with Moon rocks the three existing theories took a big hit. 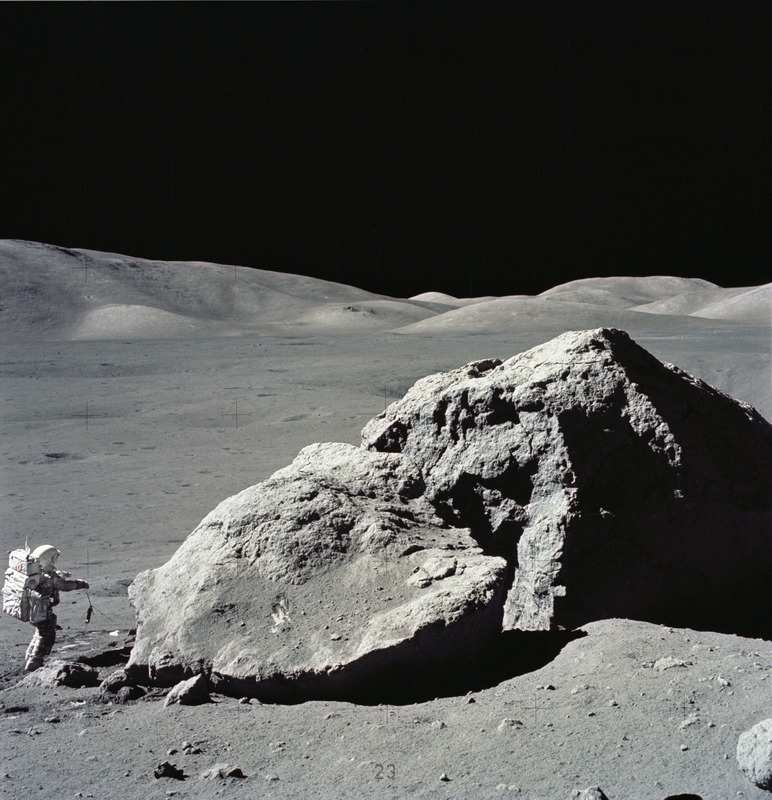 Had the Moon rocks matched the composition of Earth rocks then scientists could dismiss the adopted daughter theory because a wandering Moon wouldn’t likely have rocks similar to Earth’s. If the composition of the Moon rocks were different then they could dismiss the other two theories. What no one saw coming was the idea that the Moon rocks would match the composition of our Earth rocks, except for a lack of iron. The rocks were the same, but different. None of the theories really met the evidence in hand, but now the geologists had a vital clue. When Earth first formed all the elements were mixed throughout the molten mass that would become our planet. As time passed most of the iron sank deeper into the mass to become Earth’s core. 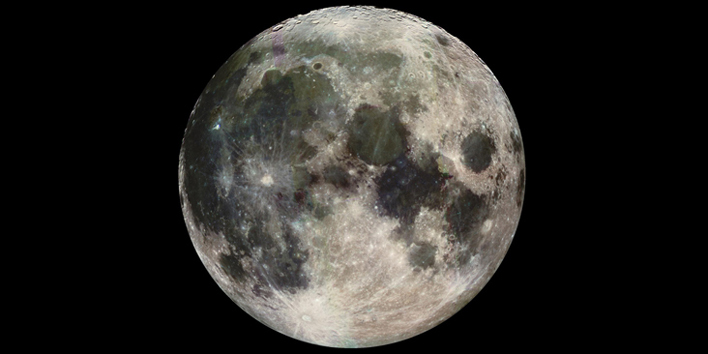 The evidence suggested that the Moon must have formed from Earth’s material after the iron sank into the core. It was clear the material for the Moon had to come from Earth, but the transfer of material had to occur after the most of the iron was not mixed in with the shallow layers of molten Earth. Enter the Impact Theory. Scientists proposed that the Earth must have been hit with a large object (about the size of Mars) that pushed out shallow molten material into a near Earth orbit to create our Moon. The theory assumes the object was absorbed into Earth’s mass and didn’t significantly change the composition of the Earth or the Moon. Those are big assumptions. Recently scientists are suggesting a new theory for the formation of the Moon that proposes a natural nuclear explosion blew off part of Earth’s shallow material after most of the iron sank into the core. The idea of natural nuclear reactions are not new. Radioactive material will always start a chain reaction upon reaching its critical mass and we have evidence that Earth has had multiple natural nuclear explosions in the past. It simply requires enough radioactive material to consolidate in close proximity to start a chain reaction. If it is radioactive and it reaches critical mass, BANG! A nuclear explosion. So is this it? 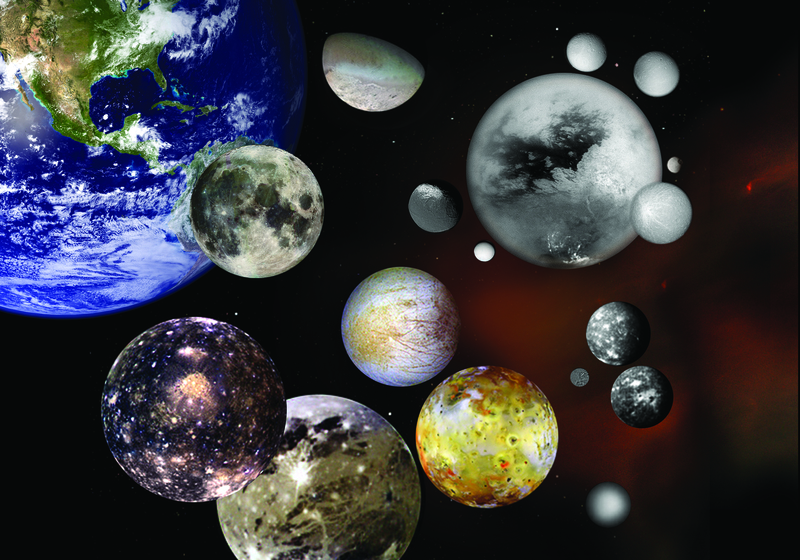 Do we now know how the Moon was formed? Not Exactly. Scientific knowledge is like the work of a detective. Learn something new and you can rule out certain possibilities, but it takes decades, sometimes centuries, to understand enough of what ‘couldn’t have happened’ in order to understand what did happen. It is likely we won’t have many more answers coming until we have scientists working on the Moon again. It’s hard to gather the evidence when you aren’t at the scene of the crime.